made. 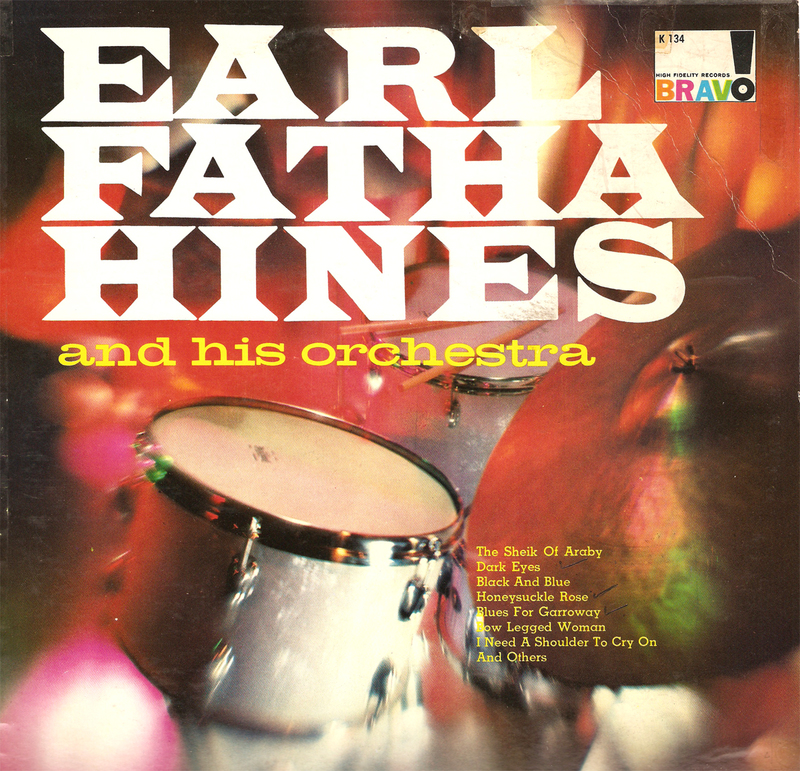 From "The World of Earl Hines"
Here's another Earl Hines offering – one that's a bit more contemporary than those of our previous postings. Hines has long been one of my favorite players, ever since I first heard his keyboard gymnastics on "Weather Bird" with Louis. His sense of rhythm was far more advance than any of his contemporaries, with the possible exception of James P. He just knocked me out! I was filing away some records I'd pulled for my radio show when I came across this gem. It's another of those cheapo budget records from the early '60s, but it's not one that you see very often and the music reissued on it comes from an interesting period in Hines' career. Plus, these sides were all originally recorded for the short-lived Sunrise label in Chicago, making them pretty rare (back before the Internet, that is). There's another reason why I decided to upload these files. The record has an interesting story behind it (are you surprised?). When I was living in Hyde Park on the south side of Chicago, I spent a lot of time in used record stores and thrift shops. There were great records to be found there as you might imagine, and I found quite a few. One day I purchased an LP with curious notes on its backside written in blue ballpoint pen ink. The notes added information on personnel, and on session dates and locations. 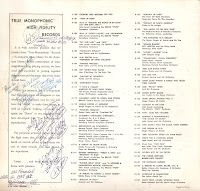 They also commented on the various tunes on the LP – things like "Dynamite Blowing – a Real KICK!!!" and "Slow Burner – Tpt. Solo – Bold!!!" Whoever had made the notes used exclamation points freely. effort into drawing lines and curious symbols. I didn't think much of it until I came across another LP with similar jottings. And then another, and another. 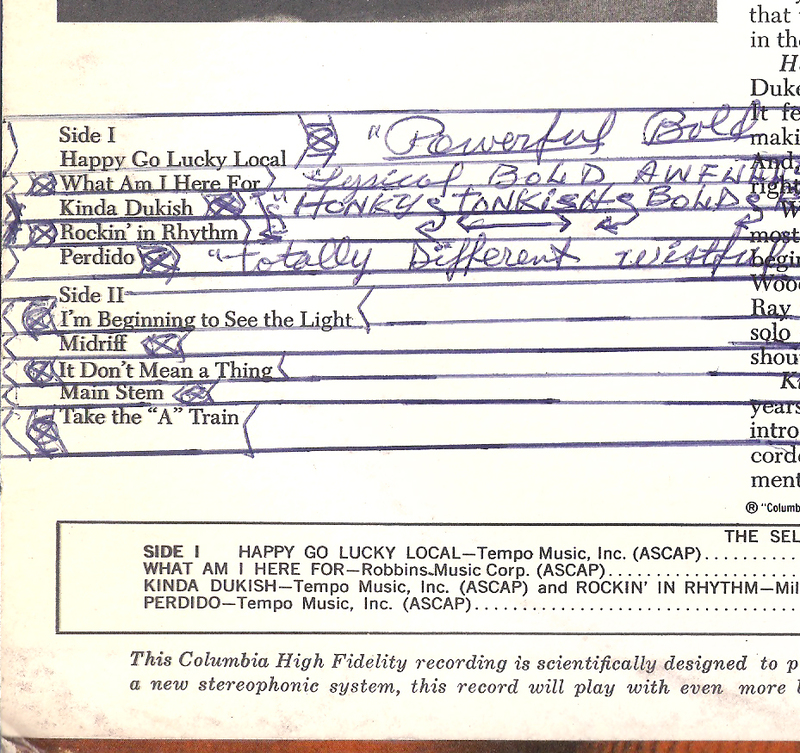 I began seeing dozens of records with the ballpoint marginalia in many of my record haunts. I decided that somebody was getting rid of a collection of primo jazz sides piece by piece, selling LPs to dealers as circumstances dictated. 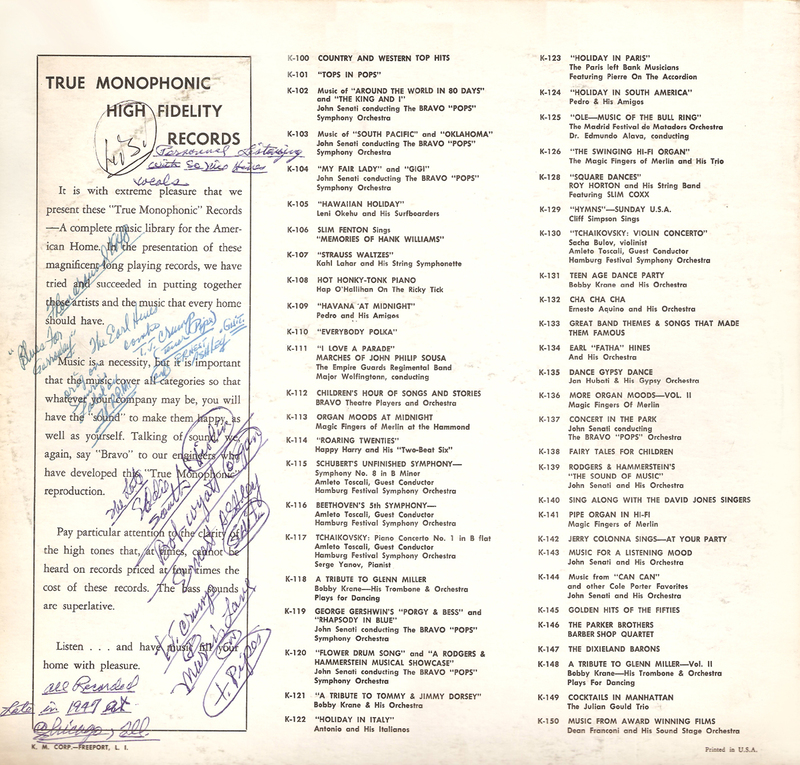 The variety of detailed information and the evaluations of the tunes (the writer had an elaborate system of stars and crosses for rating them) made me suspect that the original owner may have been a radio DJ. The notes served as a guide for picking material for his show on the fly – he wouldn't have to preview the music, just grab and go. 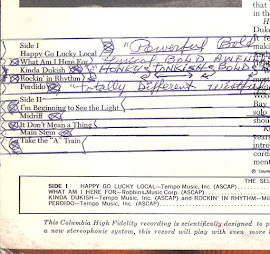 I never found out the true story behind the ballpoint annotator, but I did end up with about thirty of his records. This Hines LP is one of them. The interesting thing about his notes is that he not only knows the correct date and place for Hines' Sunrise sessions, but he knows many of the players as well (more than are listed in my discography). The record itself offers no info whatsoever on the material. My question is this: How did this fellow know these things? Did he have the original Sunrise releases? Did he know one of the sidemen, or possibly Hines himself? Was he a serious hipster on the scene? This last hypothesis seems to be borne out in his liberal use of jive argot – as in "T-pipe" for "tenor saxophone." Whatever the case, we have here some rare Hines recordings that capture the Fatha in a period of transition. 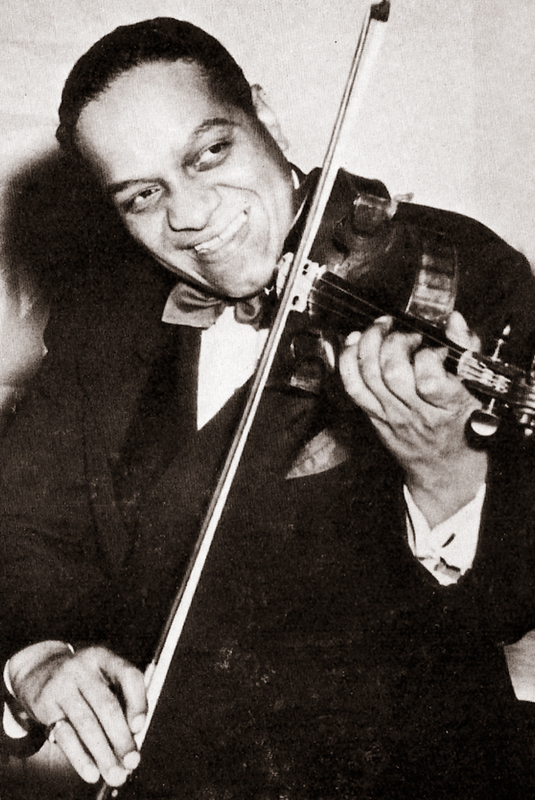 His big band had just been disbanded, a victim of changing tastes and shrinking budgets, and he'd just been hired by his former recording partner, Louis Armstrong, to be a sideman in Satchmo's first All-Stars unit. It must have been a difficult time for Earl. Victor was no longer recording him, so he went with Sunrise and issued a series of tunes in a variety of styles. In this download you'll hear the first gleanings of R&B, sweet ballads with strings and some straight-ahead jazz in the tradition. It's like Hines was hoping something would catch the public's ear but wasn't sure quite what. That said, you get to hear the immortal violinist Eddie South on three of these titles (and maybe more if, like me, you suspect it's Eddie South and not Bill Dougherty playing fiddle on some of the other tunes). You'll also hear the first recordings of a young up-and-coming baritone named Johnny Hartman, as fluid and smooth as he'd ever be even at age 24. Then there are the fine arrangements of Ernie Wilkins (or is it Budd Johnson?) on the big band sides. The jump tunes with Wini Brown feature a band pulled from Lionel Hampton's orchestra – with Mingus on bass! 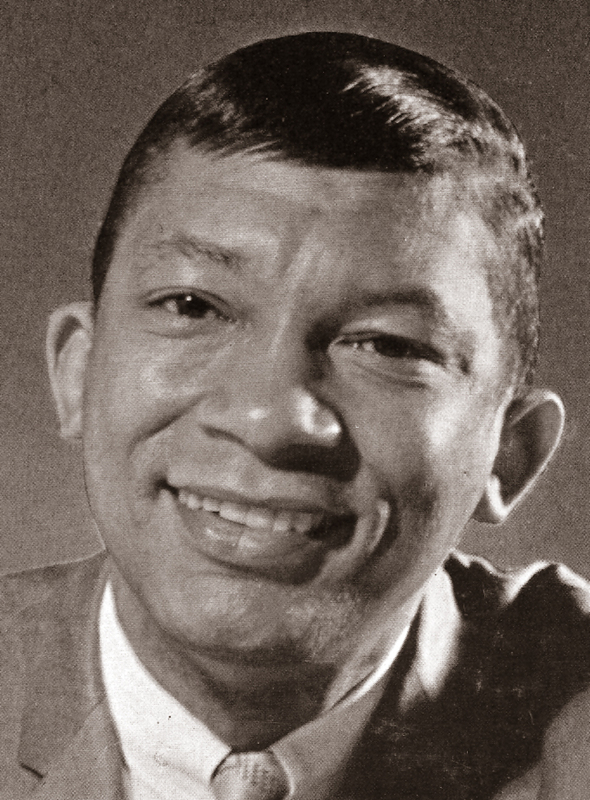 "Blues for Garroway," by the way, refers to Dave Garroway, then a nationally known Chicago radio personality and promoter of jazz. Earl no doubt was hoping Garroway would use the tune for his theme. After 1947, Earl Hines would never again front an orchestra of his own on a permanent basis. Too bad, but then we wouldn't have his many decades of stellar trio and quartet work. So enjoy this last gasp of one Hines tradition. And see if the mysterious annotator doesn't inspire you to form your own theories about his story. As always, these files were ripped from the original vinyl with just a mild cleaning of light pops and clicks. Hines, p; Morris Lane, ts; Eddie South, vi; Bob Wyatt, org; Ernest Ashley, g; unk. b, d.
Hines, p; Duke Garette, tp; Bobby Plater, as; Morris Lane, ts; Charlie Fowlkes, bar; Bill Dougherty, vi; Bill Mackel, g; Charles Mingus, b; Curley Hamner, d; Wini Brown, unk., v.
Hines, p; prob. Willie Cook, Vernon Smith, Fats Palmer, Charlie Anderson, tp; Bennie Green, Walter Harris, Gordon Alston, tbn; Clifton Small, tbn, p; Scoops Carey, Thomas Crump, as; Ernie Wilkins, Budd Johnson, ts; Wallace Brodis, bar; Bob Wyatt, org; unk., vbs; Skeeter Betts or Bill Mackel, g; Calvin Ponders, b; Gus Johnson, d; Johnny Hartman, Melrose Colbert, v; unk. string section. sorry, the link is dead! mediafire sais that this is copyright protected material (or something like that). what a pity. i like to hear hines´ work with his own groupe (after he disbanded his big orchestra) before he joint armstrong. Try it again, Marcel. I just went to the link and it's working just fine for me. I can't believe that this material is copyrighted in such a way that Mediafire is unable to dispense it. Let me know if you continue to have trouble and I'll re-up it. sorry, this is the text on the mediafire site when i click on your link: "Permission Denied.This file has been identified as a copyright protected work and cannot be distributed using MediaFire. Still have questions or do you think we've made an mistake? Check our knowledge base for more information or contact us about it. " but never mind, in the meantime i´ve found the complete output of earl hines from the 20´s to the 50´s. Hmmm ... I think these files may blocked in certain countries, the US not being one of them. Clearly there's a commercial release that has a similar file name to the Hines I've posted, so that may be the trouble. It's not possible that the commercial world cares about stuff originally recorded by Sunrise! When I get a chance, I'll reload the files with a different name. Thanks, Marcel, and glad you found them elsewhere. Another great share! 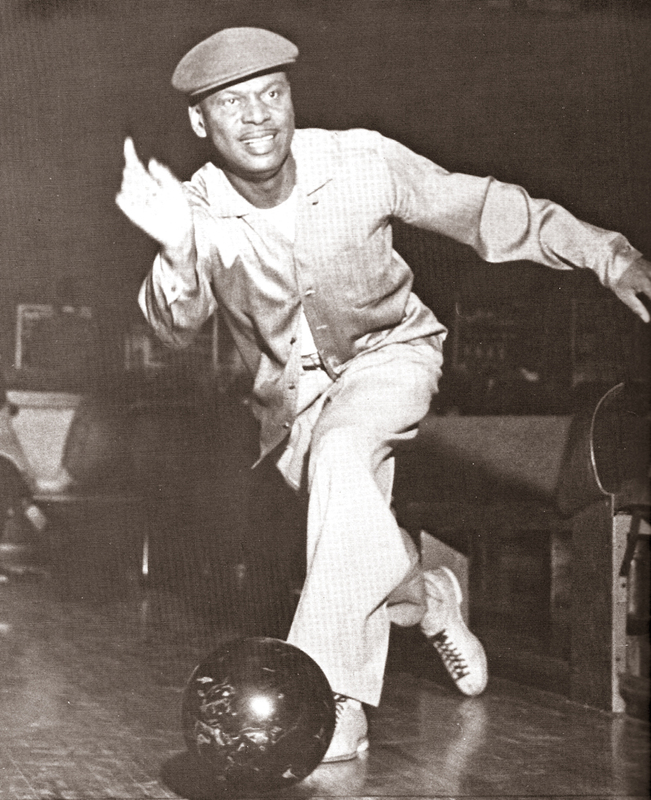 The great "Fatha" Hines. I look forward to checking this out. Just as a heads up, I tried the link tonight and I'm experiencing the same issue as Marcel. Thank you for your efforts and I'll keep checking back to see if a new link pops up when you have a chance. Thank you again for all you do. Ha! I just noticed that this file has a Mediafire flag on it indicating that it is rights-protected for some countries. Sorry about that, gang! But I've renamed and reloaded it, and it now seems to be working OK. Let me know if you still have trouble, otherwise enjoy Earl! that worked perfectly! thanks david! The new link worked great. Thank you! I love you man! Anything with Eddie South which is unknown to me is a treasure worth striving for. Many thanks! Glad you're an Eddie fan, vilstef. Me too. Do you have "The Distinguished Violin of ..." on Mercury? I'll post it if you like. I have a copy, but no means of ripping. I also have a low bit digital copy of his other late album For the Birds which I would be glad to give you a link for if you don't have it. I'd love to finally get to hear Distinguished Violin. I'd love a link to "For the Birds" thanks vilstef. I'll add "Distinguished" to my list of uploads and get on Gems for yourself and anyone else who's interested as soon as I can. Here's the link for Music for the Birds. It sounds pretty good for only being 160KB/s, but the good Mercury audio engineering is showing well on it. Eddie's violin skills are awesome on this. I think my two favorite pieces are A Nightingale Sang in Berkley Square and The Hot Canary. Enjoy-some friend have told me sometimes anonfile's links are flakey, it if turns out to be so, I'll arrange something else. When you post Distinguished Violin, feel free to include Music for the Birds as well. Many thanks, Gene. I'll give a listen and repost it with "Distinguished." Great!